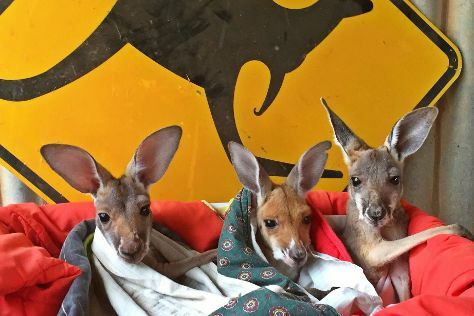 On the 3rd (Mon), get the lay of the land with Walking tours and then look for all kinds of wild species at The Kangaroo Sanctuary. For reviews, ratings, traveler tips, and tourist information, refer to the Alice Springs road trip planner . New Delhi, India to Alice Springs is an approximately 20-hour flight. Due to the time zone difference, you'll lose 4 hours traveling from New Delhi to Alice Springs. Traveling from New Delhi in June, things will get cooler in Alice Springs: highs are around 23°C and lows about 5°C. Cap off your sightseeing on the 3rd (Mon) early enough to travel to Melbourne. Step out of Melbourne to go to Werribee and see Werribee Open Range Zoo, which is approximately 42 minutes away. And it doesn't end there: take in nature's colorful creations at Melbourne Zoo, see the interesting displays at Melbourne Museum, explore the world behind art at National Gallery of Victoria, and contemplate the long history of Old Melbourne Gaol. For more things to do, maps, ratings, and more tourist information, you can read our Melbourne online trip maker . Fly from Alice Springs to Melbourne in 5 hours. Alternatively, you can drive; or take a bus. Traveling from Alice Springs in June, expect nights in Melbourne to be about the same, around 6°C, while days are little chillier, around 16°C. Finish your sightseeing early on the 6th (Thu) to allow enough time to travel to Sydney. Sydney is known for nightlife, trails, beaches, parks, and museums. 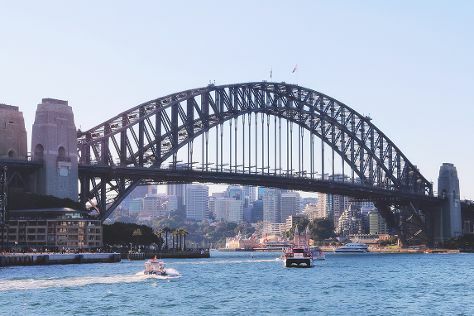 Your plan includes some of its best attractions: enjoy the sand and surf at Bondi Beach, catch a live performance at Sydney Opera House, admire the natural beauty at Royal Botanic Garden Sydney, and snap pictures at Sydney Harbour Bridge. Traveling by flight from Melbourne to Sydney takes 3.5 hours. Alternatively, you can do a combination of shuttle and flight; or drive. Expect a bit warmer temperatures when traveling from Melbourne in June; daily highs in Sydney reach 21°C and lows reach 11°C. Finish up your sightseeing early on the 9th (Sun) so you can travel to Gold Coast. 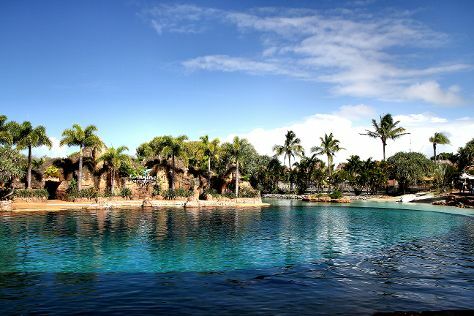 Start off your visit on the 10th (Mon): observe the fascinating underwater world at Sea World Theme Park and then get outside with Pelican Feeding. Get ready for a full day of sightseeing on the next day: find something for the whole family at Warner Bros. Movie World, then kick back and relax at Surfers Paradise Beach, and then get in on the family fun at Infinity Attraction. To find other places to visit, photos, maps, and tourist information, go to the Gold Coast road trip planner . Getting from Sydney to Gold Coast by flight takes about 3.5 hours. Other options: do a combination of flight and train; or drive. Expect a daytime high around 24°C in June, and nighttime lows around 13°C. Wrap up your sightseeing on the 11th (Tue) early enough to travel to Cairns. Change things up with these side-trips from Cairns: Palm Cove (Hartley's Crocodile Adventures & Palm Cove Beach). Spend the 12th (Wed) among aquatic life with a scuba or snorkeling tour. Spend the 14th (Fri) wandering through the wild on a nature and wildlife tour. Next up on the itinerary: trek along Esplanade Boardwalk. To find more things to do, maps, traveler tips, and more tourist information, read Cairns holiday planner . You can fly from Gold Coast to Cairns in 5.5 hours. Alternatively, you can do a combination of train and flight; or drive. Expect a bit warmer temperatures when traveling from Gold Coast in June; daily highs in Cairns reach 30°C and lows reach 22°C. Wrap up your sightseeing by early afternoon on the 15th (Sat) to allow time for travel back home.